American Bar Foundation, Chicago, 1976. Administrative Office of the United States Courts, Washington, 1986. Bernard Quaritch [for the Selden Society], London, 1955. Imprinted . . . by John Windet, for Robart Dexter [etc. ], London, 1592. 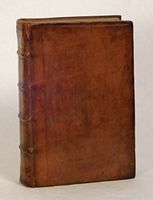 Among the earliest works on English surveying, with much on the legal aspects of local courts and the administration of manors, "a popular, practical guide, largely for self surveyors . . . mentioned in John Norden's standard [17th century] work"
Nat'l Advisory Commission on Crim. Justice Standards & Goals, Washington, 1973. 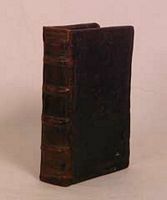 Printed for T. Egerton, Military Library, Whitehall, London, 1815. One of the most debated English court-martials, Murray acquitted on all charges save one (which was dispensed with), though Sir John Fortescue writing that Murray "must be pilloried . . . without mercy as a cowardly and dishonourable man"
National Center for State Courts, Williamsburg, 1980. Printed by W. Strahan and M. Woodfall . . . For P. Uriel [etc. ], London, 1778. 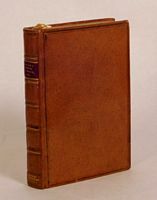 Printed for A. Millar, in the Strand, London, 1758. Printed by M. Flesher, for W. Lee, and D. Pakeman, London, 1648. Printed by E. P[urslow] for Henry Seile [etc. ], London, 1635. National Center for State Courts, Denver, 1977. Printed for J. Murray, No. 32, Fleet-Street, London, 1785. 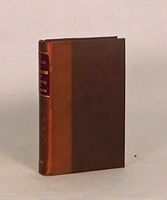 A rare early edition of the first work devoted primarily to the English law of courts martial and the last published in Adye's life, becoming "the standard work for military judicial practice in the late eighteenth and early nineteenth centuries"
In aedibus Caroli Yetsweirti Armig. [etc. ], London, 1594. Nicholas Hill for Henry Smith?, London, 1545. Bernard Quaritch, 15 Piccadilly [for the Selden Society], London, 1888. Imprinted . . . in Fletestreet . . . by Richard Tottil [etc. ], London, 1559. In aedibus Richardi Graftoni . . . Mense Aprilis [etc. ], London, 1553. In aedibus Richardi Totelli [etc. ], London, 1592. 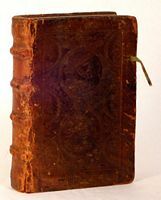 Printed by Edward Husband and John Field [etc. ], London, 1650. In aedibus Richardi Tottelli. Octobris quarto [etc. ], London, 1580. Macmillan Company, New York, 1937. Your search request for "courts" has matched more than 50 records. (67 books matched.) If you would like to see more than 50 records, you can adjust this parameter and resubmit your search.